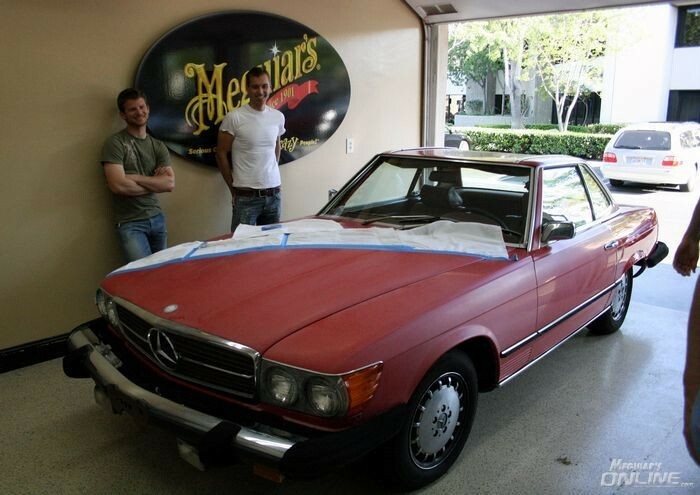 When it comes to Meguiar's and other large companies that offer multiple lines for multiple markets, i.e. The products are formulated more specifically for their intended use and their intended user. It's assumed that anyone working in a body shop has a higher skill level when it comes to machine polishing paint than the person first starting out washing and waxing their Ford Focus. As such, the Consumer Line, Ultimate Compound, is formulated for ease of use by the masses while still accomplishing the task the name on the bottle says it will tackle. I find UC much more user-friendly for the average person than M105 and most important, if UC doesn't remove the defects you're trying to remove then chances are very good they're too deep to safely remove using any compound and as a follow-up it's time to start looking at how the deeper defects are being inflicted into the paint and stop the problem at the root cause. Just to note... the car on the label of Ultimate Compound is one of the many Extreme Makeovers I head up while working for Meguiar's and in charge of the TNOG's also known as The Thursday Night Open Garage classes. Most people don't know that when I started the Thursday Night Open Garage classes they were actually on Wednesday nights and then I moved them to Thursday nights. It is also the TNOGs that I first met Michael Stoops as before he worked for Meguiar's he attended many of the TNOG's. Here's some pictures showing the Mercedes-Benz on the label of Ultimate Compound. 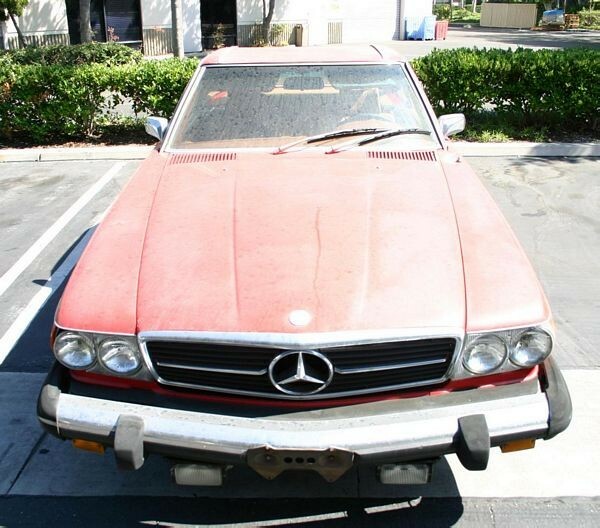 Note: The graphic artist at Meguiar's removed the Mercedes-Benz emblem off the hood to make the car appear more generic. I compounded the entire finish before starting the below process to remove the shallow scratches and expose the deep scratches. 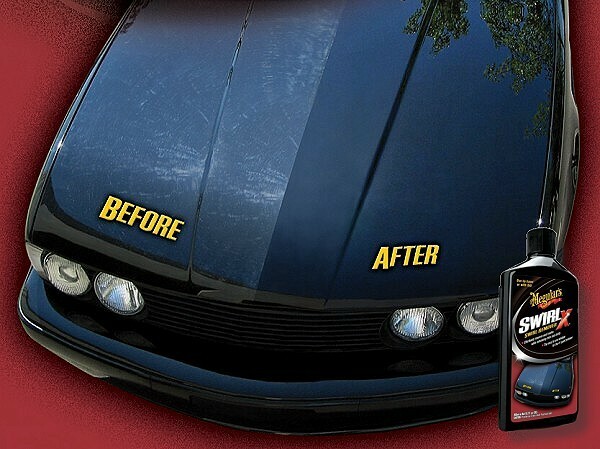 Note the graphic artist at Meguiar's actually toned-down the horrendous swirls you see in the before pictures. They also removed the BMW emblem off the hood to make the car appear more generic. Kind of cool to have two cars, one I was in charge of and one I detailed end up on millions of bottles of Meguiar's products. There's a little car detailing history for the Car Detailing Coffee Table Book. Be proud, Mike, be very proud! I love hearing the history of some of the detailing world's products, processes, tools, people etc. Thanks Mike, what do you put those little pieces of sand paper ON? Did you guys use anything after the ultimate compound on the red car? Was the red car single stage paint? I'mean thinking of going over my car on the drivers side doors with ultimate compound 1 more time to ease up on some of the Orange peel. I know everyone says you have to wet sand it to get rid of it but I know for a fact I cleared it from my 2 favorite panels. The strongest thinget I used was m101 on a griotz finishing microfiber pad. And I didn't even have my flex or G15 back then. I'm pretty confident that I can do it. I'll take some pics to prove it. Is it safe to assume that the clear coat is thick if the panel has orange peel on IT? Orange peel is globs of clearcoat right? Love the historic aspect of the industry. By any chance would you know when the original Porter Cable 7424, and the Flex 3401 VRG were introduced to market? Those Ultimate Compound and Swirl-X bottles must be the pride of your Meguiar's collection. Never thought of compounding/polishing the light scratches to expose the deeper RIDS. Only makes sense. Leaves that much more clear/paint for the next RIDS to be compounded. Great advice/article as usual. Huh, so those cars on the bottles are the real deal and not some photoshopped examples!!!! Coolness. Mike, for real. 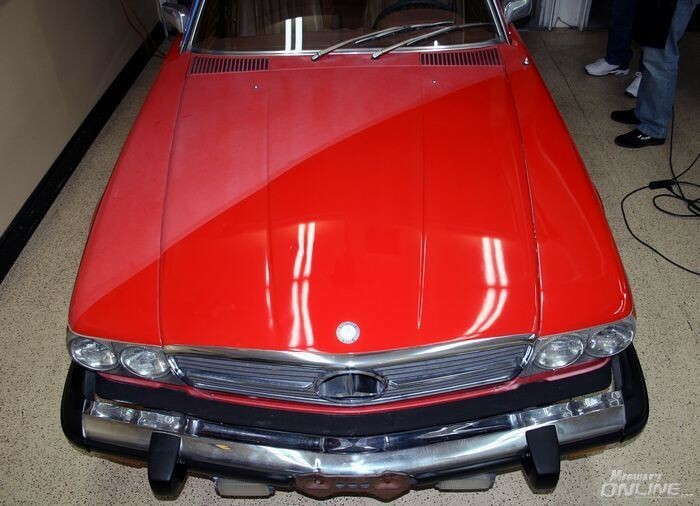 Get a book written on the "history" of detailing, or paint correction, etc. I'd buy the first book off the press. 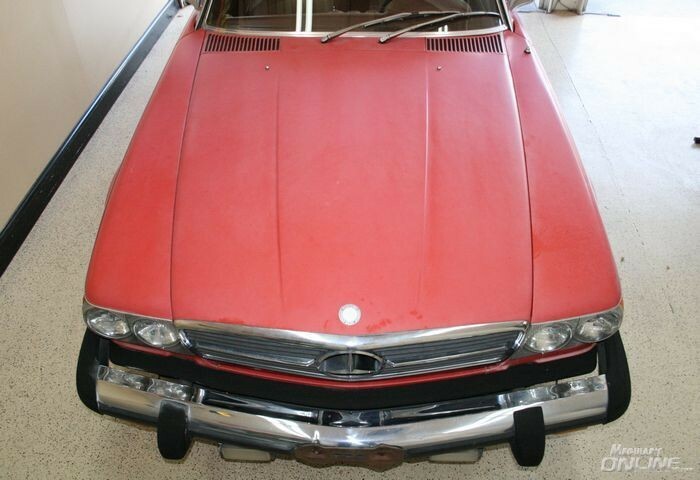 By patricemougeot in forum Ask Mike Phillips your detailing questions! 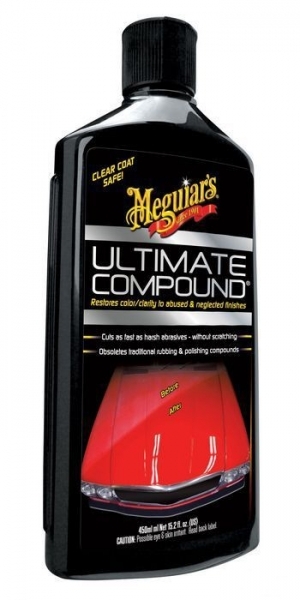 Meguiar's Ultimate Compound or D105? 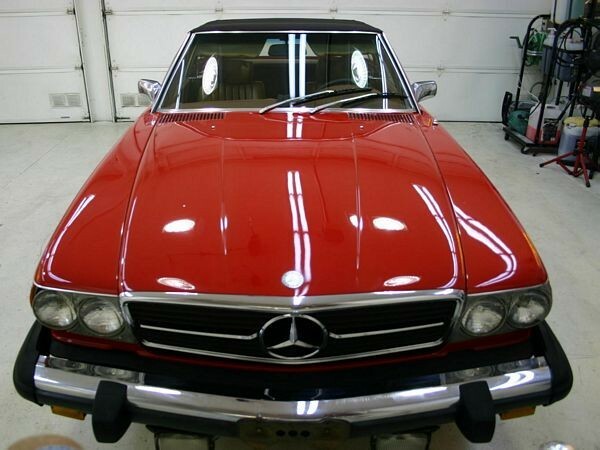 By Mercedes350 in forum Ask Mike Phillips your detailing questions! Am I better starting off with Meguiar's Ultimate Finish or Ultimate Compound?